CSF was honored to receive Mutual of America Foundation’s Community Partnership Merit Finalist Award on March 28 in Seattle. 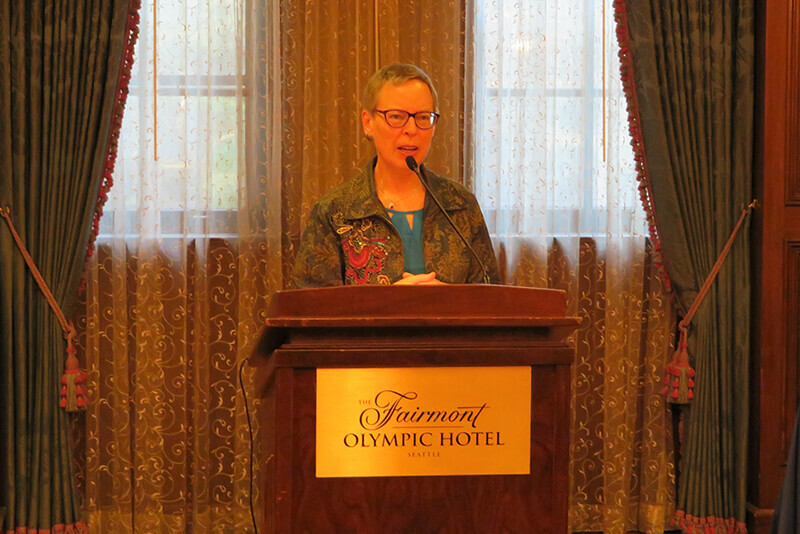 The awards event celebrated the outstanding contributions the Washington State Governors’ Scholarship for Foster Youth has made to society and recognized our key partners in the foster care community who contributed to its success. Thomas Gilliam, Chairman and CEO of Mutual of America Foundation, and Theodore Herman, Vice Chairman of Mutual of America Foundation, were on hand to present the award from the foundation and applaud the work of those who make the scholarship possible. Since CSF and the Honorable Gary Locke established the scholarship in 2001, the program has raised over $7 million and helped 500 young men and women from foster care continue their education and earn a degree. It has also inspired partnerships and collaborations that have helped to raise the foster youth college graduation rate from less than 3 percent to almost 50 percent. 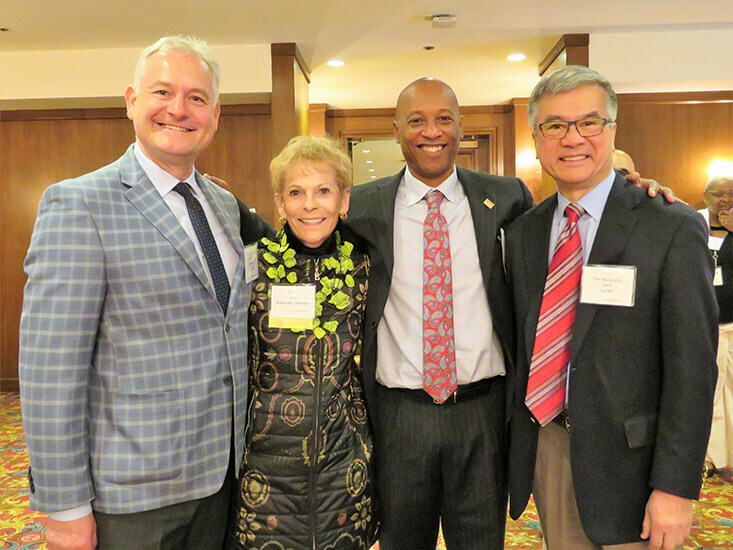 During the luncheon, we honored Former Governor Locke for 19 years of steadfast leadership and strong guidance in helping Washington state foster youth enroll in and complete college. He has been an unwavering supporter of the CSF Governors’ Scholarship from the beginning and worked hard to ensure subsequent Washington state governors continue this tradition of support. His passionate dedication to foster youth has inspired individuals, organizations and the state of Washington to commit to helping foster youth overcome the many unique challenges that they face. We were also proud to recognize Senator Reuven M. Carlyle for his tireless work and advocacy in support of foster youth. Since Senator Carlyle was elected in 2008, he has been a leading voice in the Washington State Legislature for higher education. He has also provided unrelenting leadership on foster youth issues, including strong support for the Governors’ Scholarship. As a citizen activist, he crafted legislation in 2007 for Passport to College Promise (now Passport to Careers), a scholarship and support program for foster youth. Janis Avery, CEO of Treehouse, was honored for her inspirational leadership in support of young men and women from foster care. For the past 23 years, Janis has worked every day to help foster youth realize their dreams and achieve Treehouse’s strategic goal for them to graduate at the same rate as their peers. Her leadership at Treehouse has propelled the organization to new heights and resulted in expansion of their successful educational and support services statewide. The Passport Leadership Team and Washington Student Achievement Council (WSAC) were acknowledged for supporting students through the Passport to Careers, Washington state’s publicly-funded scholarship for foster youth. CSF and WSAC have partnered since 2007 to ensure that both this and the Governors’ Scholarship for Foster Youth have maximum impact. The Passport Leadership Team—made up of nonprofit, post-secondary institution, state partner and student representatives—works year-round to improve the way students from foster care are served. Dawn Cypriano-McAferty, Program Manager for the Passport program, received the award on behalf of Passport Leadership Team. 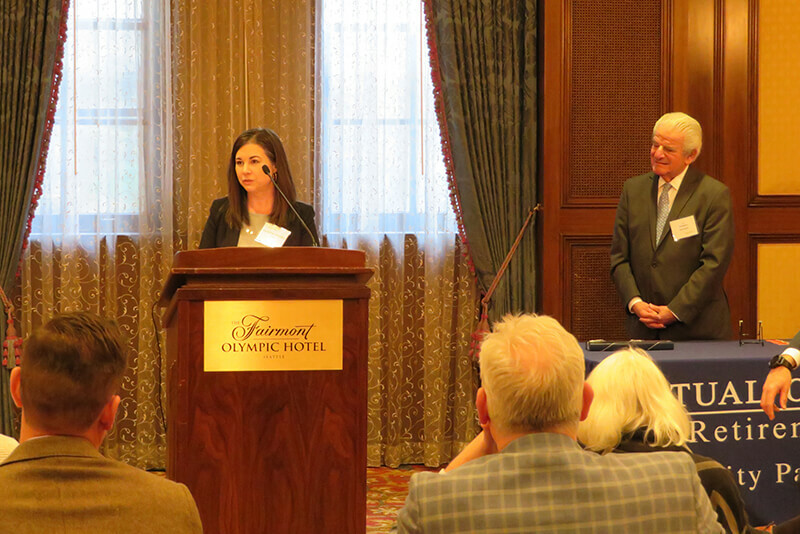 We could not hold an event celebrating the importance of the Governors’ Scholarship for Foster Youth and Passport to Careers without recognizing and applauding the scholarship recipients themselves. 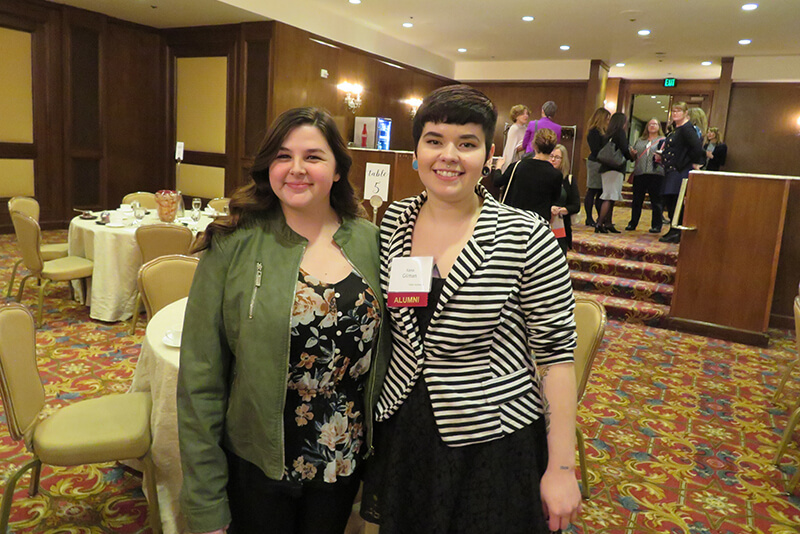 CSF Alumna Cheyanne and CSF Scholar Xana accepted the honor on behalf of the group. Both Xana and Cheyanne have been active in supporting other alumni of foster care, serving as mentors to other students and counselors at CSF’s summer program for foster youth. 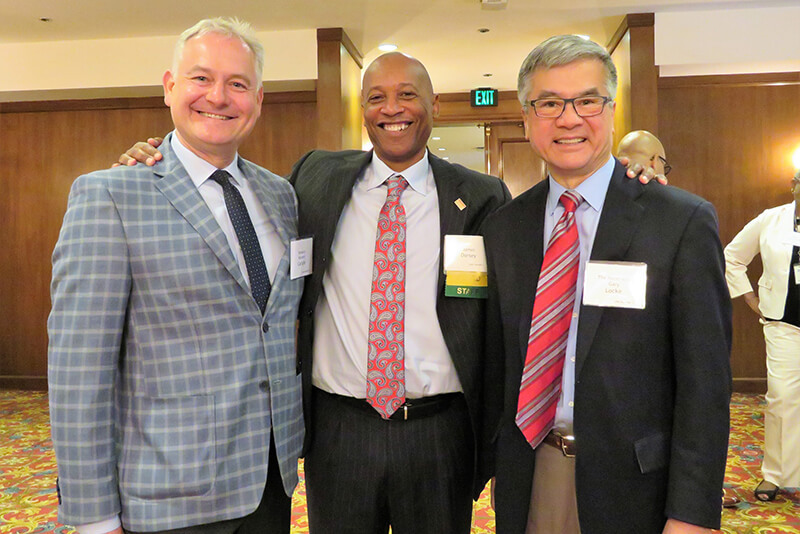 Senator Reuven Carlyle, CSF President and CEO James Dorsey, and the Honorable Gary Locke. Passport Program Manager Dawn Cypriano-McAferty. CSF Alumna Cheyanne and CSF Scholar Xana. A heartfelt thanks to all our partners for your support, participation and collaboration. Watch highlights from the luncheon.